Race is the most important factor explaining eviction in Dane County. The most nonwhite neighborhoods experience a disproportionate number of eviction filings. Income alone does not explain eviction patterns in Dane County-- student-oriented neighborhoods close to campus have some of the lowest median household incomes yet they also have relatively low eviction totals. A small group of plaintiffs (those seeking the eviction of tenants through the court) account for a majority of eviction cases. Just 100 plaintiffs account for over half (52%) of all cases since 2000 (21,493 cases). the most recent change, 2015 Wisconsin Act 176, has tremendous potential to displace tenants based on landlords’ perceptions of possible criminal activity. These findings and more will be discussed at the October 27th panel discussion. Our records indicate that between 2000 and 2015 there were 40,439 eviction court cases initiated in Dane County, Wisconsin, with an average of 2,527 cases per year. The number of evictions cases increased slightly from 2000 to 2011 and declined from 2011 to 2015. Based on our interviews with key actors, we suspect that the recent decline in evictions is due to either non-renewal of leases as an alternative to eviction or tenants deciding to move before an eviction is filed for fear of having an eviction on their record. This reduction in the number of evictions that actually take place reinforces the fact that eviction generally represents only one form of a larger displacement process. The month of August has the most eviction court cases filed on average (249) followed by July (244), June (241), and May (236) respectively. December has the lowest number of evictions cases on average (177) followed by September (195) and November (195). Race is the most important factor explaining eviction in Dane County. The most non-white neighborhoods are clearly the most impacted by the eviction process. Six block groups with the most eviction cases are also among the top ten block groups with the largest percentages of residents of color. All but one of the top ten non-white neighborhoods show high levels of eviction filings well above the average for block groups throughout the County. Student-oriented neighborhoods have some of the lowest median household incomes yet they also have relatively low eviction totals suggesting that multiple housing and displacement submarkets exist in Dane County. A small group of plaintiffs (those seeking the eviction of tenants through the court) account for a majority of eviction cases. Just 100 plaintiffs account for over half (52%) of all cases. Readers should note, however, that these numbers are not normalized to account for the number of properties any given landlord controls or any other factors. Two plaintiffs, Madison Property Management Inc (1,444) and Wisconsin Management Company (1,389) account for 7% of all cases, making them the two largest evictors in Dane County. Subsidized housing providers are among the top eviction plaintiffs in Dane County. The Community Development Authority of the City of Madison is the 8th most common eviction plaintiff. Porchlight and other nonprofit housing providers, including Wisconsin Management Company, which manages Dane County’s public housing as well as both subsidized and private rental housing, also account for a proportionally large number of evictions cases in Dane County. Most plaintiffs file relatively few evictions. Ninety percent of plaintiffs filed less than 10 evictions each. The vast majority of plaintiffs in cases (94%) list an address within Dane County, while only 3% list an address outside of the county. However, an absentee property owner may hire a local management company to carry out day-to-day management of units, including eviction of tenants. Our analysis shows that many of the plaintiffs with higher numbers of eviction cases are property managers rather than individual owners. A small group of influential people and organizations—such as the Apartment Association of South Central Wisconsin (AASCW)—are primarily responsible for the recent legislative changes. These include legislative sponsors who are also rental property owners themselves. To support the eviction climic, rent assistance and mediation programs at the Tenant Resource Center, please donate to our GoFundMe! 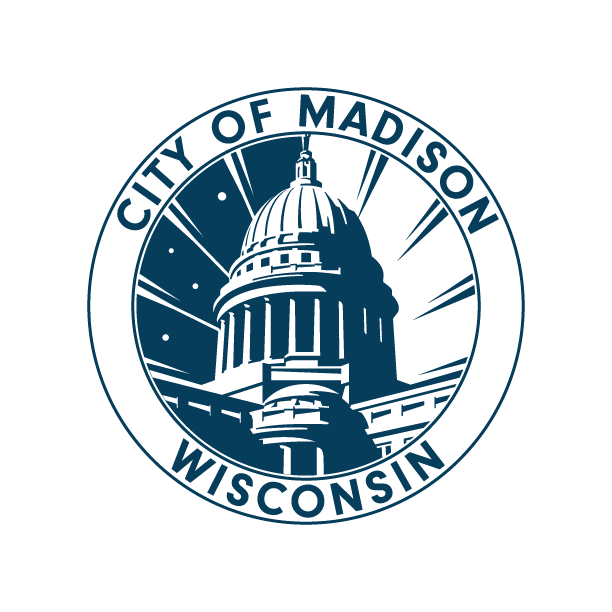 campaign to raise the match money required for City of Madison funds. Educate yourself about evictions! Spread the word!